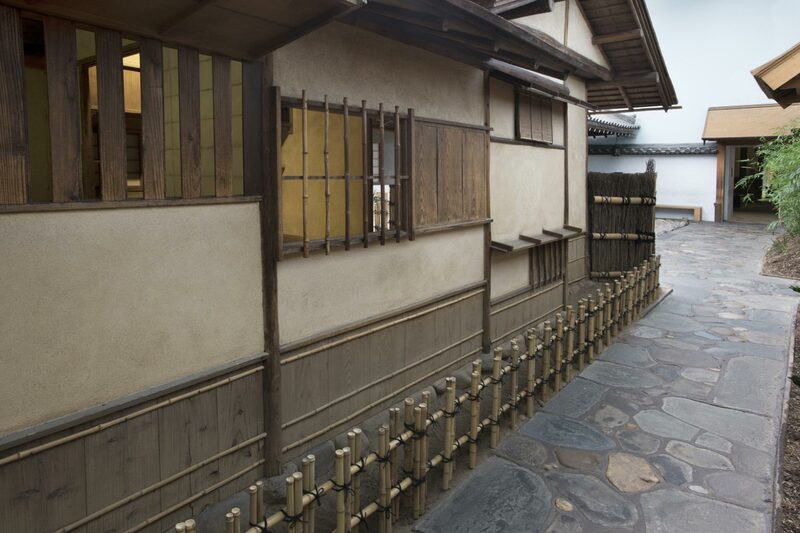 This ceremonial teahouse was built in about 1917 by the Japanese architect Ögi Rodö. 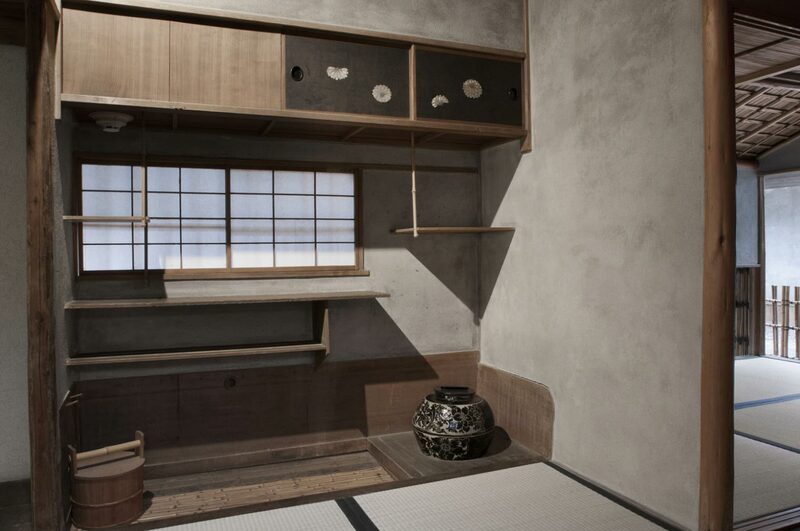 Designed in the rustic tradition or "artless style" of the fifteenth-century artist Oguri Sotan, it also incorporates eighteenth-century elements. 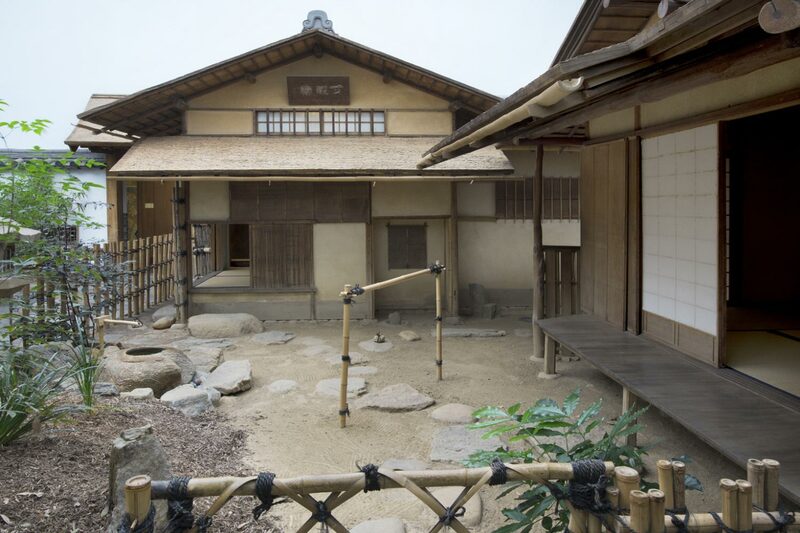 The Sunkaraku teahouse originally stood on the grounds of Rodö's private residence in Tokyo. 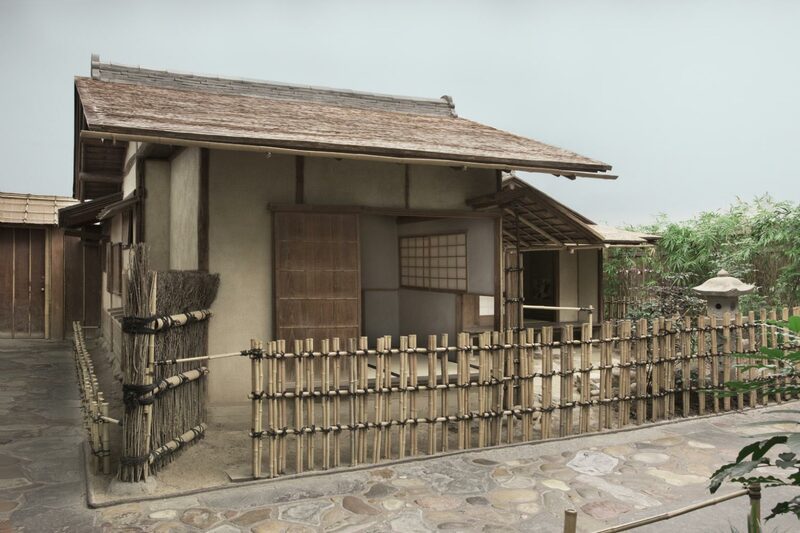 He sold it to the Museum in 1928, and in 1957 it was installed at the Museum, making it the only work by Rodö outside Japan. 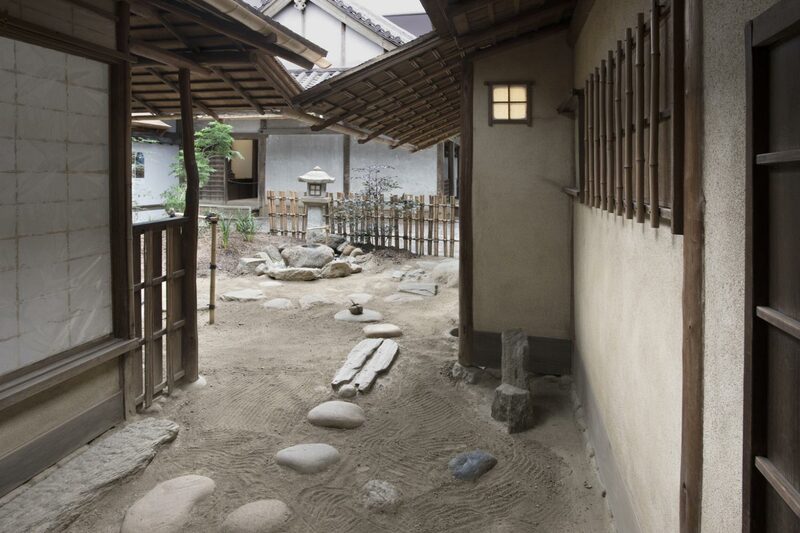 The garden setting you see now was planned by one of Japan's foremost contemporary garden designers, Matsunosuke Tatsui. 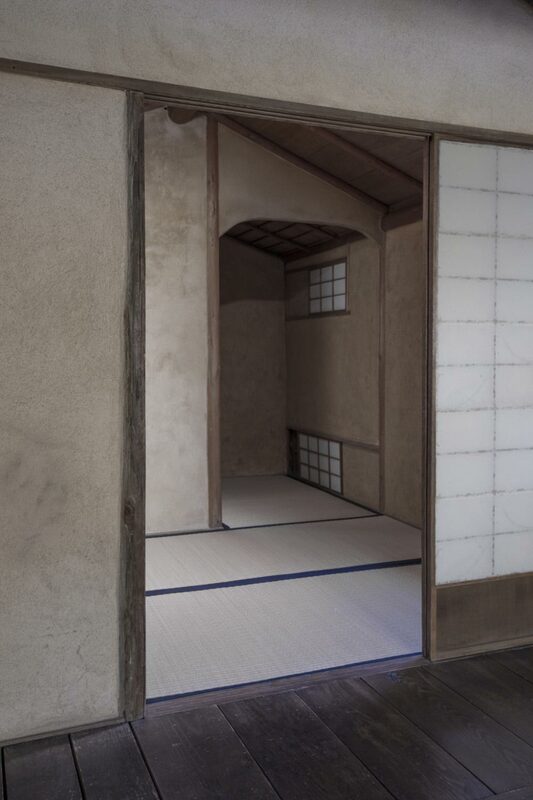 The apparent artlessness of the teahouse in fact conceals acute attention to detail and to aesthetic pleasure. 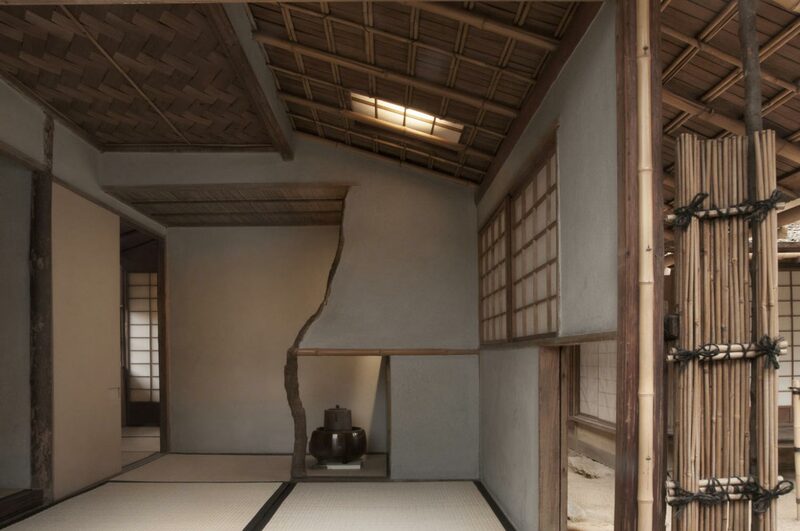 The architecture of both the waiting room and the tearoom reveals a special delight in natural materials such as cypress shingles (for the roof) and bamboo. Proximity to nature is also emphasized by the garden, visible from both buildings. Everything inside the tearoom has been planned to stimulate the mind and to delight the eye. 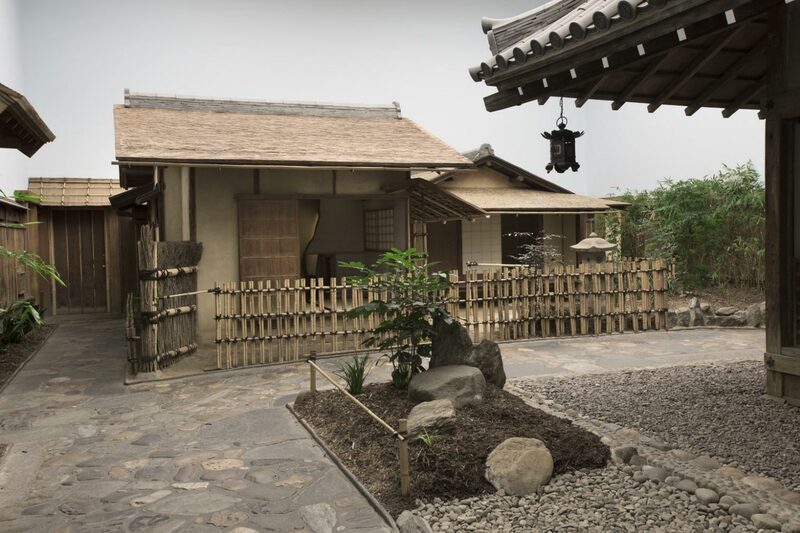 Rough, unfinished vertical posts remind guests of their imperfections and their oneness with nature, and the tea utensils enhance their sensitivity to natural textures and artistic creativity. 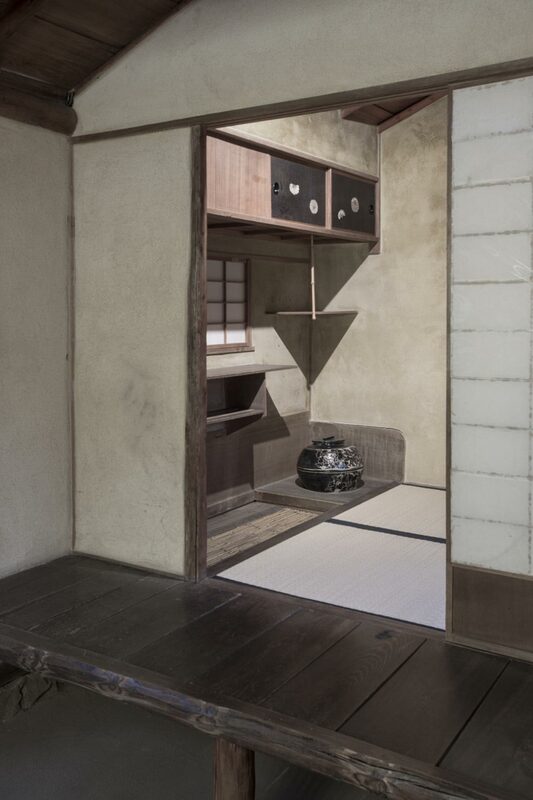 The tea ceremony offers a temporary respite from the complexities of daily life. 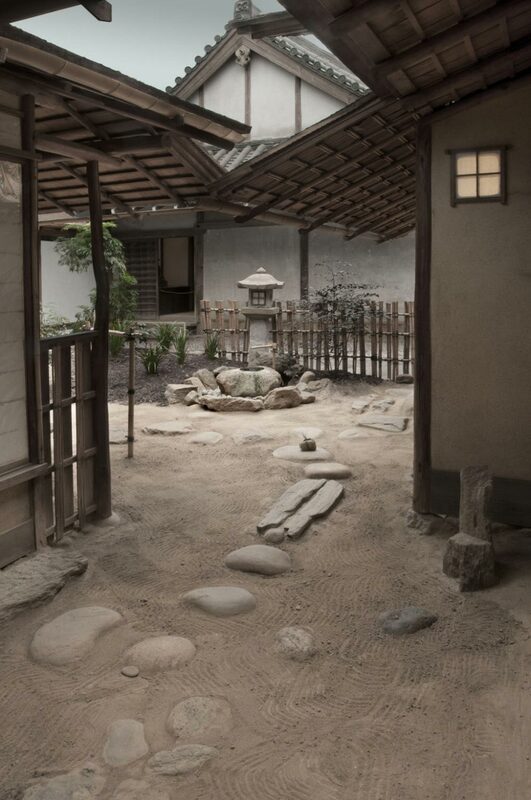 This mood perhaps inspired a famous devotee of the tea cult, Lord Fumai Matsudaira (1750-1818), when he autographed the tablet over the teahouse with the inscription "Sun Ka Raku," or Evanescent Joys. 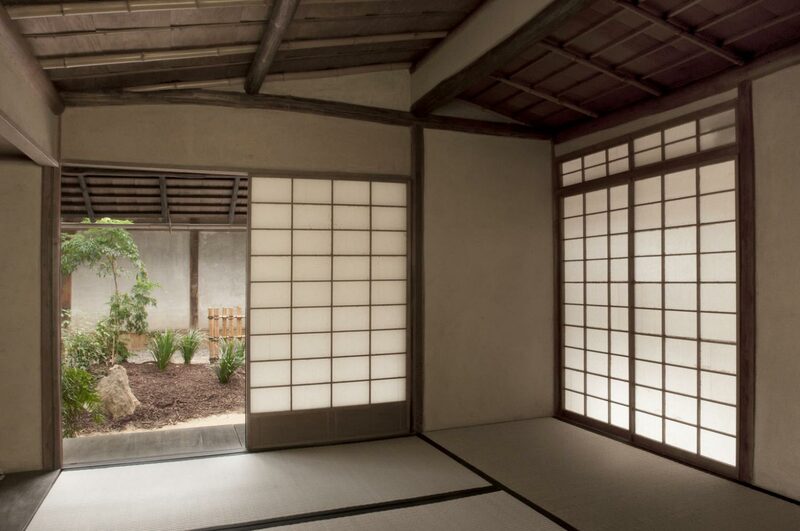 The name of this teahouse, Sunkaraku, or "Evanescent Joys," reflects the spirit of the traditional Japanese tea ceremony as a temporary refuge from the complexities of daily life. 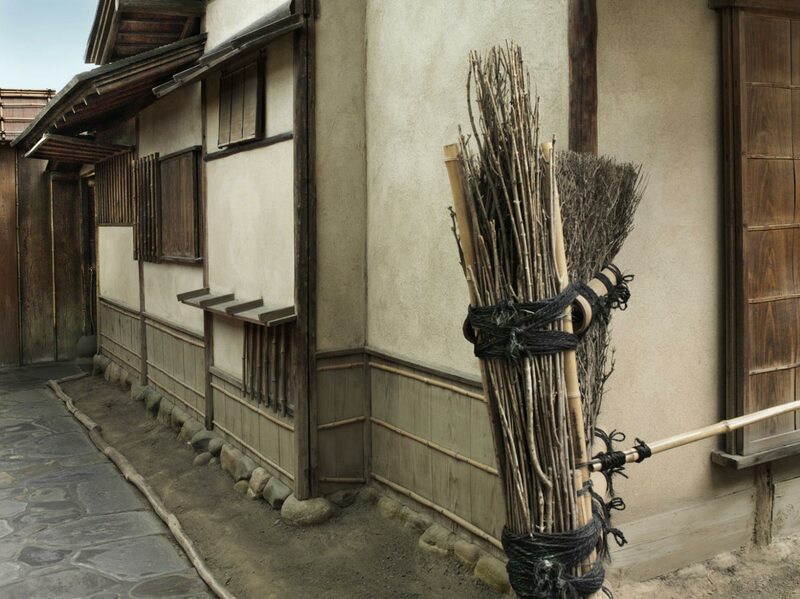 The architecture reveals a special delight in natural materials: cedar thatch for the roof, nandina and red pine with the bark intact for the pillars, bamboo stalks for the ceiling and rainspouts, and earth-colored plaster for the walls. 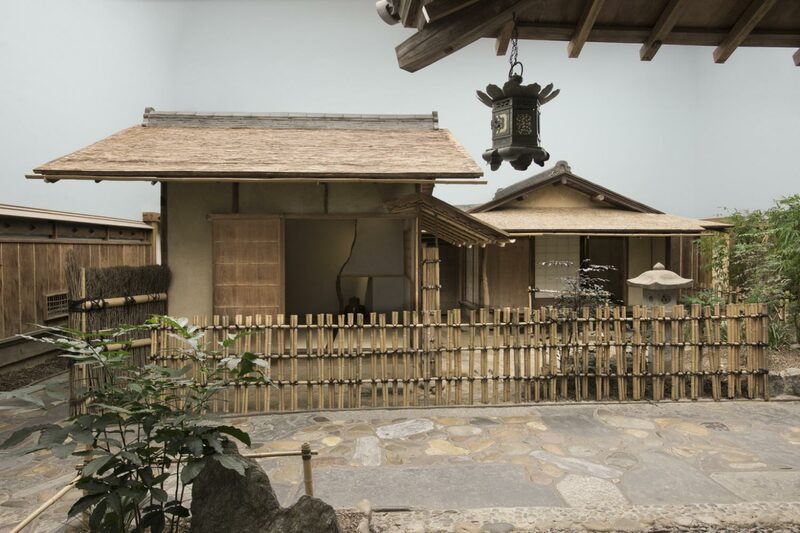 The Museum acquired Sunkaraku from Ōgi Rodō, the architect who constructed it using elements from an eighteenth-century teahouse. 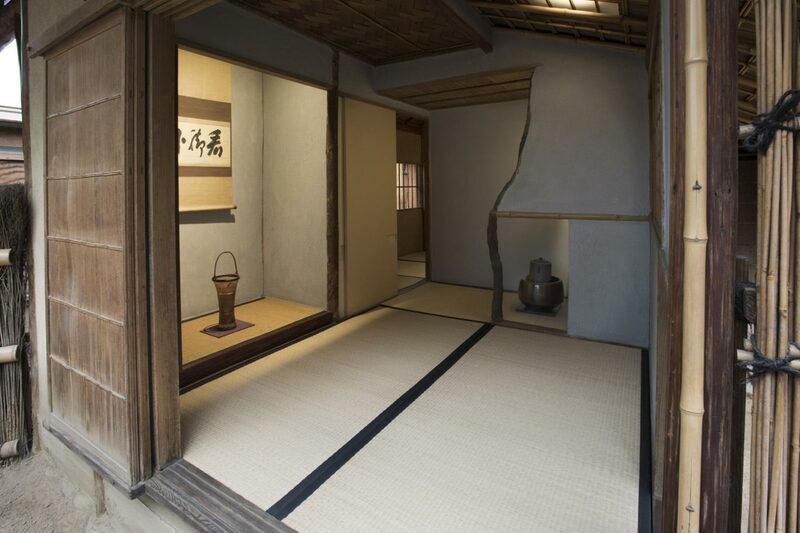 We know from diaries kept by one of the participants in the tea ceremonies held at Sunkaraku that the guests included leaders of the financial and political world of early twentieth-century Japan, for whom Ōgi Rodō designed country retreats and teahouses. 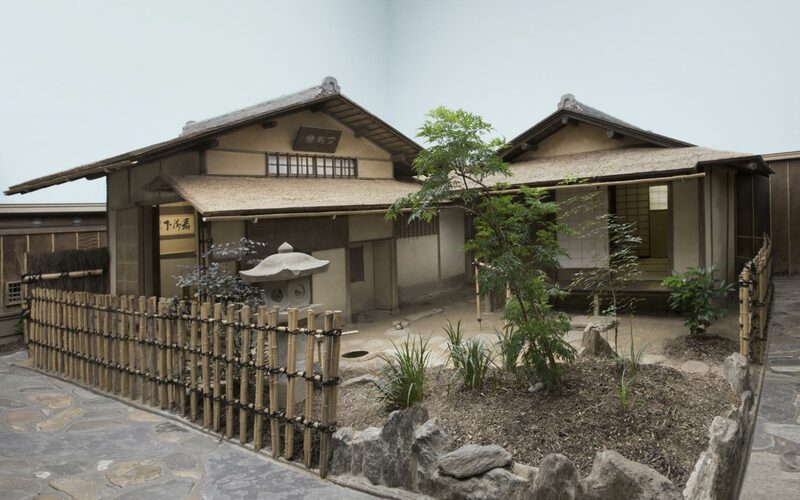 The Sunkaraku teahouse is the only one of Rodō's works outside Japan, where just three of his buildings remain extant. Felice Fischer, from Philadelphia Museum of Art: Handbook of the Collections (1995), p. 48.